CLOSEOUTS. 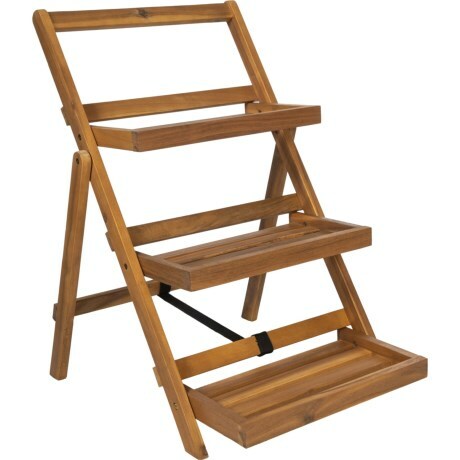 This An Seng 3-Tier folding garden shelf is made of sturdy reinforced wood and stows away for the offseason. Available Colors: ACACIA.